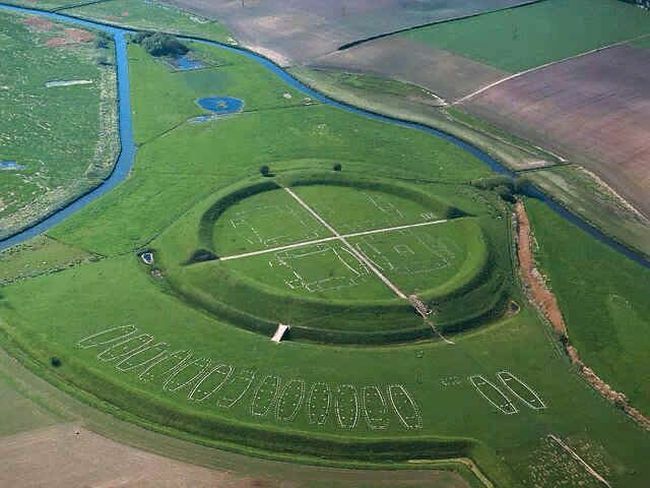 Have historians found the Viking fortress that launched the invasion of England?! Although very interesting in their designs, the discovery of Viking fortifications pertains to nothing new in the field of archaeology. But this time around, there might be something very special about the ring fortress uncovered in the island of Zealand. Known as the Vallø Borgring, some historians believe this was the very training camp from which the successful invasion of England was launched in 1013 AD by Sweyn Forkbeard, the rebellious son of Harald Bluetooth – the first Christian Viking king. 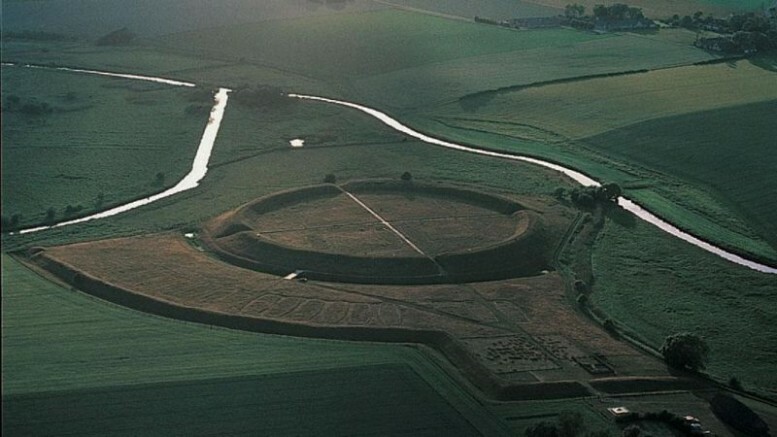 Also known as ‘Trelleborgs‘, these conspicuously circular shaped forts are only found in the regions of Denmark. In fact, experts have been able to identify at least four of such military engineering specimens before the unearthing of Vallø Borgring. As for the physical ambit of this fortress itself, the construction has an imposing diameter of 475 ft (144 m), while the circular shaped rampart measures 35 ft (10.6 m) in width – which makes the Vallø the third largest design among the five discovered geometric citadels. However, as we mentioned before, beyond grand dimensions there might be something more historically significant about the newly uncovered fort. To that end, most researchers believe the camp to be from the period of Harald Bluetooth’s reign during the the late 10th century AD. 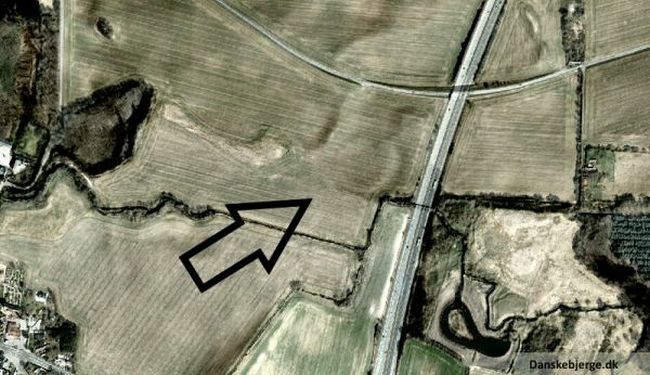 Furthermore, there are some archaeologists who believe the Vallø Borgring was used as the crucial strategic springboard by Sweyn Forkbeard (or Sveinn Tjúguskegg in Old Norse) to invade England. Forkbeard was already involved in three England destined raids before, and personally directly his forces in the momentous year of 1013 – which led to him being ceremoniously crowned the King of England on Christmas Day (of the very same year). In any case, the historians have just been able to unearth small sections of the gargantuan fort. 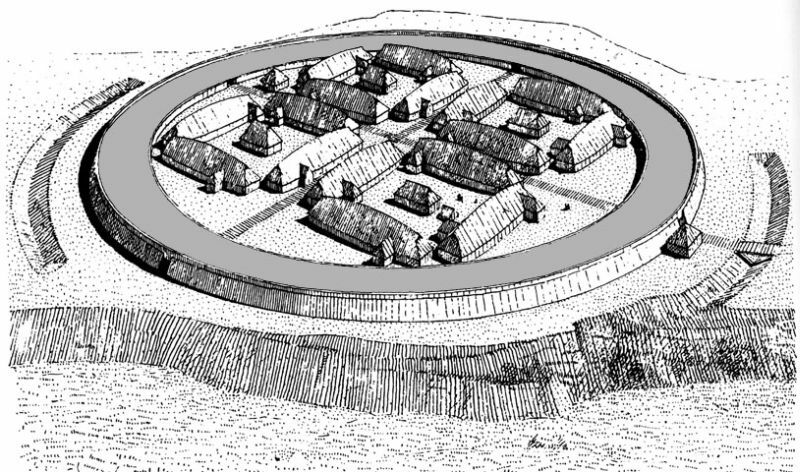 And with the evidences they have accumulated, the Vallø Borgring is pretty similar in terms of design and layout to the earlier explored circular fortresses – with the equal division of the circle into four quarters, along with the four gateways oriented at the cardinal directions. The famed Viking longhouses may have been built within these demarcated parameters. And what’s more; many researchers believe the geometric shape of these redoubts had been inspired by the earlier Roman-engineered military camps in the area!